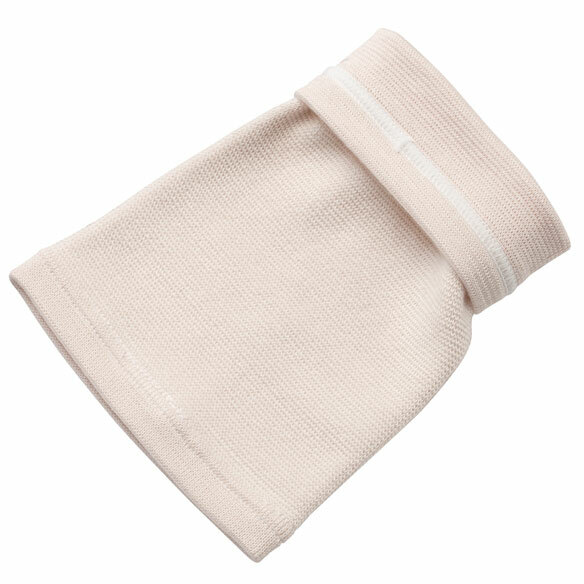 Our ultra copper knee support contains 3 times more copper than others, to surround your knee with healing warmth. Copper helps warm muscles to relieve pain and stiffness. Knee compression wrap improves circulation to speed recovery. Flexible knee wrap design stabilizes joints and muscles while enhancing mobility. Slim profile fits under clothing and is ideal for men or women. Specify color. Specify size: Small, Medium or Large. Machine washable. 15% copper/22% rubber/63% cotton. THESE HELP TO KEEP EVERYTHING IN PLACE!! It's the best product of its kind. Helps swelling and pain. Always have it on. I have a bone on bone knee which ackes all the time. I put a salve on the knee and put on the support on and rest. I love it. My knee measures 15.75" at the largest point so I ordered the large size (16-17.75") since I wanted to make sure it was large enough. However, it was so tight it started hurting my knee immediately and I had to remove it after an hour. Note: this size actually has a diameter of 14" at the larger end (the hip end)so the measurements listed must allow for expansion but clearly it can't expand up to 3.75" without constricting the knee. I was very disappointed since it appears to be a well made product. I would not buy this knee support again! 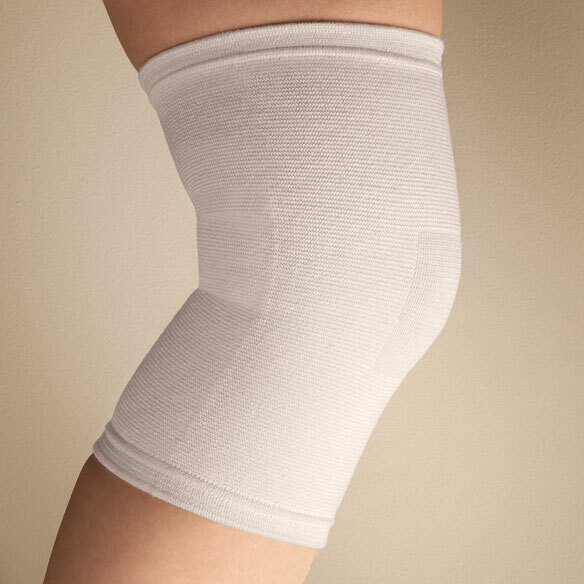 I had hoped this knee support would stabilize my knee as I stand or walk. It does not stay in place, and lacks the compression I had hoped for. It looks to be long enough. Many supports are too short! Plus the price was right. I ordered them for my husband. The first ones were for myself, they helped me, and I hope they help him. Try different type of brace. That should fit well under clothes. Knee pain is enough to drive me crazy and feel this will help aid in not having that much sciatica pain. Size specific and reasonable price. Used this product previously with good results . I heard about the copper help control need. Have previously ordered this item and was very satisfied. it help me with my leg pain. 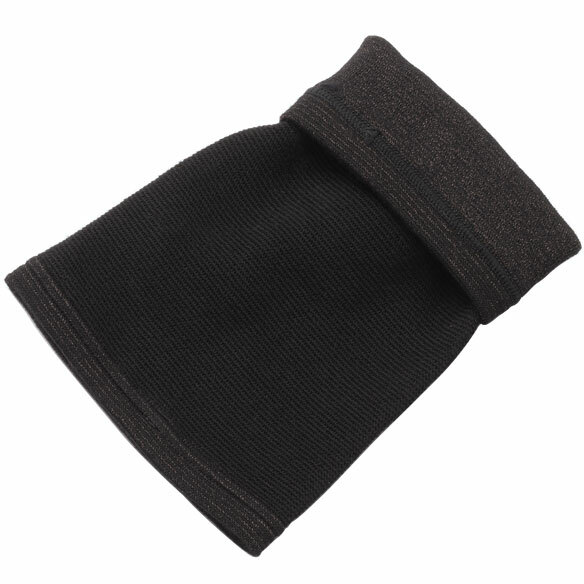 Weakened knees after hard fall and reviews of this knee support item were very good. My knees are starting to bother me, so I thought maybe these would help. Need to try something for knee pain. I have a pair of these copper infused knee protectors and had a hard time finding them again. I enjoy hiking and want to support my knees on the downhills. I have used other products and was satisfied so I am ordering here again. The support is great, and the reasonable price is even better. Already had one knee replacement, the doctor told me the parts are a bit loose, and now my other knee is acting up, and I will avoid another knee surgery whatever I have to do. They've given my wife and myself good knee support so we're reordering. I have one now and wear it every day..have a knee problem. Wanted more to changing frequently. to get help in walking while recovering from the knee surgery. A good buy, also to have extras on hand when needed. long time issue with my knee. hoping this will help. I have a pair and love them. I need a second pair. I did not purchase this. I need size measurement like a x-large is how many inches above knee? BEST ANSWER: Thank you for your question. The extra large brace will fit a knee measuring 16" - 17 3/4" at its widest point. We hope this information will be of help to you. where and how do you measure your knee for size? BEST ANSWER: Thank you for your question. You would want to measure widest point of knee area. Please see the tab for size chart in description area. We hope this information will be of help to you. Will this fit a very large mans leg? This is a perfectly reasonable request. Some men's legs are quite large. BEST ANSWER: Thank you for your question. The largest size the Ultra Copper Knee Support goes up to is 17 3/4". can I wear this on my arm at the elbow? BEST ANSWER: Thank you for your question. It may not fit your elbow properly as it is made to fit a knee. We hope this information will be of help to you. Yes you can. It requires a smaller size than for the knee but will work fine. Can copper brace be dried in clothes dryer? BEST ANSWER: Thank you for your question. We do not recommend to have it place in a dryer as it could cause it to shrink. We hope this information will be of help to you. I need a 3x can you help? BEST ANSWER: Thank you for your question. Unfortunately, we only have the Ultra Copper Knee Support in the small, medium and large sizes. We hope this information will be of help to you. I have a condition called "Baker's Cyst",will this help? BEST ANSWER: A Baker's cyst is a collection of fluid in the knee area caused by arthritis. I do not have that but I do feel instability in my knee and the knee support does just that, it gives me the support I need. I have had Baker's cyst in the past but they have gone away on their own. I find the support very comfortable and reassuring. Thank you for your question. We suggest consulting your physician to determine if this item would be appropriate for your condition.We hope this information will be of help to you. is this item slightly padded? BEST ANSWER: No it is not really padded. It is a little bulky were the two Velcros come together to form the closure. In fact it makes you look slimmer, especially at the waist. Thank you for your question. This support does not include any padding, it is designed to support only. We hope this information will be of help to you. Measurements for for each size? my knee measures 14 inches What size would I choose? Is this ok for use in excercise support? BEST ANSWER: Thank you for your question. It is not recommended to use that way. We hope this information will be of help to you. BEST ANSWER: Thank you for your question. SM (212) FITS 12"-13 3/4"--MED (213) FITS 14"-15 3/4"--LG (214) FITS 16"-17 3/4". We hope this information will be of help to you. do you have 3 x sizes??? What does it measure for the area above your knee (thigh area, not knee area)? I have braces that fit the knee fine but bind the thigh? BEST ANSWER: Thank you for your question. You will want to measure the thickest part of the leg above the knee.We hope this information will be of help to you. BEST ANSWER: Thank you for your question. The sizes for knee support are small fits knees 12"-13 3/4" in diameter, the medium fits knees 14"-15 3/4" in diameter, and the large fits knees 16"-17 3/4" in diameter. We hope this information is helpful for you. Is the 17 3/4 measurement taken around the knee? BEST ANSWER: Thank you for your question. The measurement should be taken around the widest point that the support will be covering. We hope this information will be of help to you.